The driver of the minivan was alone in the vehicle and pronounced deceased at the scene, cops say. 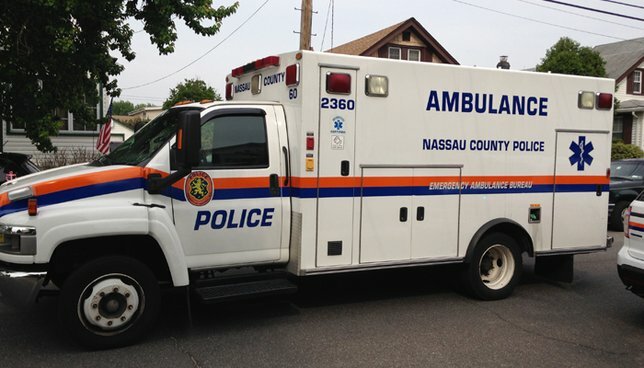 NCPD are investigating a Fatal Vehicular Accident which occurred on Wednesday, May 31, in Farmingdale. Farmingdale, NY – June 1, 2017 – The Homicide Squad is investigating a Fatal Vehicular Accident which occurred on Wednesday, May 31, 2017 at 9:41 p.m. in Farmingdale. According to detectives, a minivan travelling westbound on Conklin Street, being driven by a male, 39 years of age, was in a head on collision with a NICE bus in the eastbound lanes in the vicinity of Cherry Street. The driver of the minivan was alone in the vehicle and pronounced deceased at the scene. The NICE bus was occupied by a driver and two passengers at the time of the accident. The driver and one of the passengers were taken to an area hospital for treatment to non-life threatening injuries. Identification of the deceased is being withheld pending family notification. The investigation is ongoing. Subject: LongIsland.com - Your Name sent you Article details of "Authorities: One Reported Dead After Minivan Collides with NICE Bus in Farmingdale"